It’s mosquito season and it’s almost impossible to avoid being bitten. 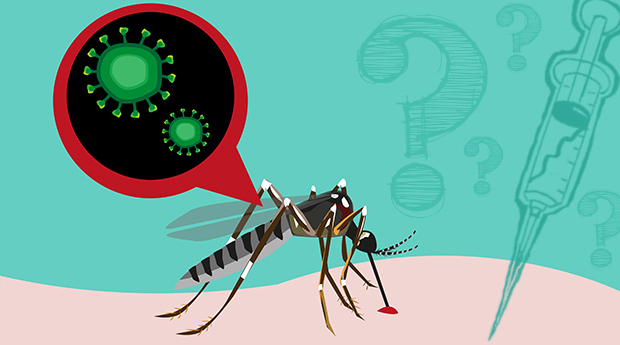 Concerns about mosquito-borne viruses like Zika and West Nile are renewed every year, but a mosquito-borne disease thought only to be transmitted to animals seems to have jumped the barrier to humans. Scientists first discovered the Keystone virus in the Keystone area of Tampa 50 years ago. The first known human case of the disease was just identified in North Florida, but it took doctors a year to make the diagnosis. Doctors say there were likely other undiagnosed cases before this one. “There is a reasonable chance that there is a number of cases out there,” Dr. Glenn Morris, director of the University of Florida’s Emerging Pathogens Institute. The patient is a 16-year-old boy. After attending band camp in North Florida last summer, he went to a walk-in clinic complaining of a fever and severe rash. Morris says the teen exhibited only mild symptoms. Doctors tested him for various pathogens, including Zika, but nothing came back positive. After a year of investigating, they finally figured out it was the Keystone virus. They suspect a lot of other people across the southeast may have had the virus but were never diagnosed. In mosquitos, the virus has shown up from the Chesapeake Bay to Florida and all the way to Texas. Right now, there is no simple test to identify the Keystone virus, but that could change soon. Dr. Morris says several biomedical companies have contacted the University of Florida to talk about developing one.